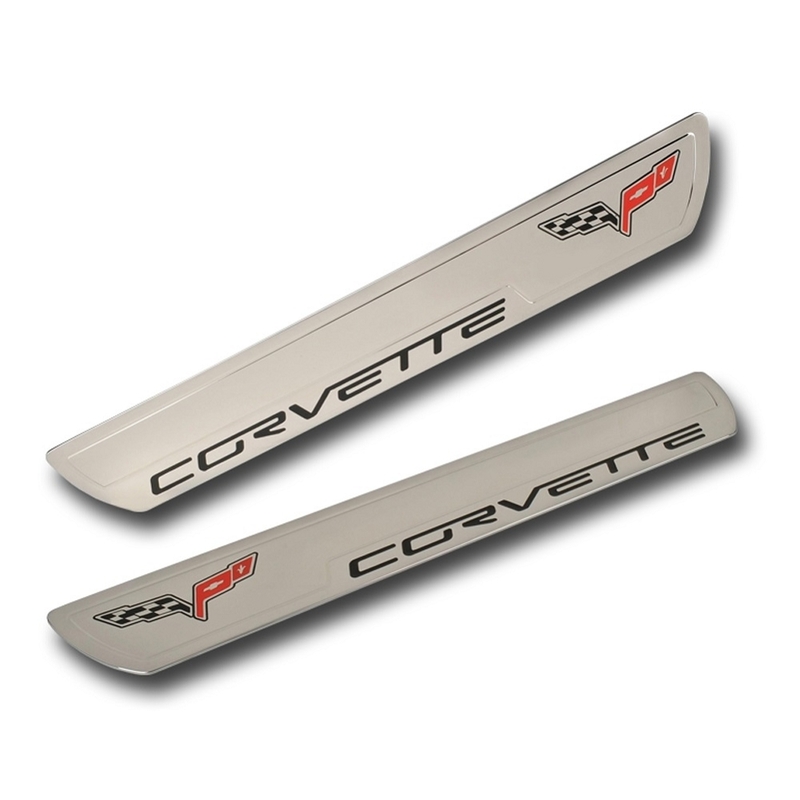 If the Door Sill Guards have cracked or wore down in your 2005-2013 C6 Corvette, give these pair of Billet Chrome Door Sill Guards with the classic crossed flags logo a try. It will offer style with a clean, sharp look instead of the bland factory sill guards. They provide maximum protection with nothing but the best in quality as a GM licensed product designed using billet aluminum with a chrome plated finish. 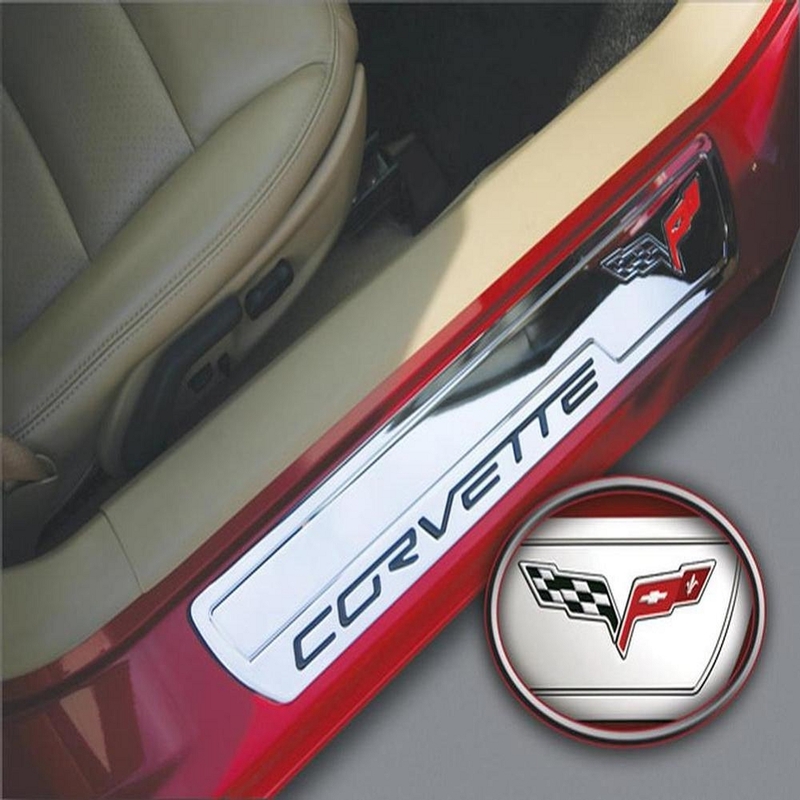 It also doesn't hurt that they offer attractive features to your Corvette sill guard replacement.